Volume 4, Edition 37 Trouble loading? View this email online. 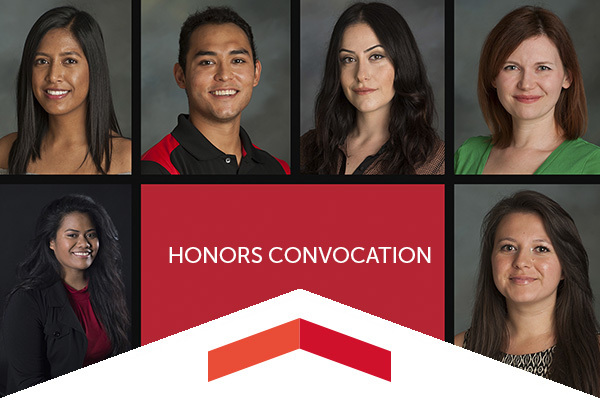 Of the approximately 2,100 graduates invited to take part in CSUN’s Honors Convocation on May 13, Wolfson Scholar Angelina Finau, Nathan O. Freedman Award honoree Maria Akopyan, Braulio Diaz, Kimberly Madhwani, Sunshine Williams and Roxxette Zepeda will be singled out for special recognition as outstanding graduating students. 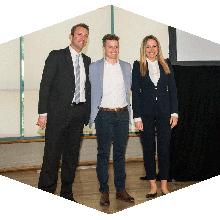 Sleepyhead, an e-commerce sleep startup that sells boxed memory-foam mattresses and bed toppers, won the $20,000 first-place award at the final round of CSUN’s Bull Ring New Venture Competition, which was organized by the university’s David Nazarian College of Business and Economics. 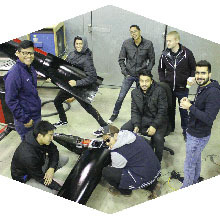 Of 71 registered university teams, CSUN’s Aero Design Team, made up of mechanical engineering students, took second place in this competition of student-designed aircraft featuring many of the top programs in the country. However, they received an unfortunate surprise when the trailer that housed their winning airplane, including the truck that hauled it, was stolen from the parking lot where it sat overnight. Wed, May 10, 7:30 p.m. The CSUN Symphony will present Stravinsky’s monumental masterwork The Rite of Spring in a can’t-miss concert performance. Sat, May 13, 8 p.m. Featuring conductor Christopher Rountree and the Martha Graham Dance Company, this rare one-time performance will also bring together CSUN students, alumni, and select high school and community dancers to perform the 10-minute piece that will open the performance. Tue, May 23, 10 a.m.
Students about to graduate and alumni are invited to make connections and set up job interviews at the annual event taking place at the University Student Union, Northridge Center and Grand Salon. CSUN Athletics honored 85 student-athlete graduates at a special ceremony where seniors received red Matador sashes and Athletics medallions to wear at CSUN commencement ceremonies. They were toasted by the Matador Achievement Center staff as they celebrated their upcoming graduation. We’re inviting all Matadors to our annual CSUN Alumni Hollywood Bowl Night featuring rock legends, The Moody Blues. It’s also the Hollywood Bowl’s Opening Night, complete with fireworks. Bring your own food and drinks and join us for a pre-concert picnic at the Bowl. Join us May 23 at CSUN’s Orange Grove Bistro. Along with honoring our alumni and student awardees, the banquet includes an iPad mini drawing, door prizes, socializing/networking and a delicious dinner. All proceeds support the CSUN CDS Alumni Association chapter’s work of supporting the CDS alumni, current students, the department, and the CSUN Language, Speech and Hearing Center. CSUN health science professor Kathleen Young visited Cuba to investigate the country’s universal healthcare system. CSUN’s Associated Students was awarded the 2017 Energy Efficiency and Sustainability Best Practice Awards and will be recognized during the California Higher Education Sustainability Conference on June 26-29. To recognize the longevity and success of CSUN’s Radiologic Sciences program and what it has done to elevate and bring together thousands of Matadors, we invite you to this Sept. 16 event at the Hilton Woodland Hills. Reconnect and network with fellow CSUN alumni, faculty and staff and celebrate the program that helped launch so many careers. We’ll have a DJ, dancing, food and drinks. Students and community members of all ages came together on Bayramian Lawn during CSUN’s Earth Fair, which aimed to bring awareness of how to live sustainably and help the environment by combining art, music, education and sustainable initiatives.